NEW YORK, March 25, 2019 /PRNewswire/ -- Worldwide demand for plant-based beverages is estimated to grow by leaps and bounds, on account of consumers' holistic approach to health and wellness. 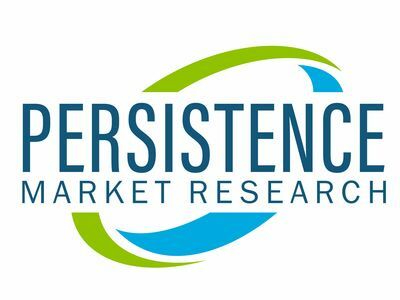 The demand for plant-based beverages is likely to expand at a CAGR of over 6% through 2028, as per the latest research study published by Persistence Market Research (PMR). The growth of plant-based beverages continues to be influenced by the pervasive trend of veganism and flexitarianism, which have become increasingly popular among health-savvy consumers. According to the PMR research study, consumers will continue to show marked preferences for dairy alternatives over any other source type, with global demand estimated to surpass US$ 25.5 Bn by the end of 2028. Diary alternatives, such as soy milk, almond milk, rice milk, oats milk, coconut milk, cashew milk, and seed milk, are expected to witness high indulgence, with demand varying from region to region. In line with the aforementioned, market players are vying to offer dairy alternatives in enticing flavors to meet the insatiable consumer demand for 'Taste and Wellness'. As per the PMR report, organic plant-based beverages are likely to put conventional variants in the shade, with consumers increasingly opting for organic as a trustworthy investment. Quality combined with numerous health benefits remains one among the key selling point of organic plant-based beverages, with global demand estimated to grow at a CAGR of over 7% through 2028. Moreover, the upswing in sales of organic plant-based beverages can also be attributed to positive perceptions of consumers associated with organically grown and produced foods & beverages. North America, Western Europe, and APEJ (Asia Pacific excluding Japan) hold more than 79.5% of the total share for plant-based beverages. Surging preferences for healthy diets and rising concerns for animal welfare are among the key reasons driving the growth of plant-based beverages market in these regions. According to the PMR report, producers are extensively targeting untapped potential across emerging economies of MEA and APEJ, as these are under-penetrated markets with progressive growth in consumers' per-capita income levels. The study unveils that evolving eating habits of consumers are likely to drive demand for healthier alternatives, such as plant-based beverages. This, in turn, demonstrates a healthy growth of plant-based beverages market over the forecast period. In addition, increasing reluctance toward soft drinks, carbonated drinks, and energy drinks is also inducing a drastic shift toward plant-based beverages, influencing the growth of plant-based beverages market. Manufacturers operating in the plant-based beverages market are also focusing on expanding the appeal of their products by tapping into innovative replacements and approaches. The plant-based beverages producing companies are vying to discover and find out what consumers really want to purchase, which will enable them to incorporate the same in their products via new additions. Producers are spanning across different countries and cultures to analyze consumer attitudes at a granular level, which will aid in solidifying their sustenance in the plant-based beverages market. Offering customer-relevant products that will take over the market shelves remains the key to consolidation in the plant-based beverages market, states the PMR analysis.